I’ve said it plenty of times; 4WD’s are not cheap. You’ve got fuel, modifications, accessories, repairs, rego, insurance and the list goes on an on. However, owning a 4WD is a lifestyle. It opens up a completely new way of living; places that were inaccessible become an option, and its pretty well known that Australia has a lot of stunning places that aren’t very easy to get to. Buy a 4WD though, and you can visit pretty well anywhere you’d ever want to! As much as I love our 4WD, it hasn’t been cheap! A very important part of 4WDing is owning a reliable vehicle. There’s no point having every accessory under the sun if you cant get away for the weekend without the fear of something breaking (or something actually breaking!). A good way to have a reliable 4WD is to know as much as possible about it, and how to fix the gremlins that show their faces at the worst possible times. I always encourage people to learn to work on their own cars; it gives you a better understanding should something go wrong in the bush, saves you a fortune in servicing costs and you know that the job has been done correctly. I’m not talking about rebuilding engines or installing differential lockers; I’m talking about the simple jobs that anyone can learn with a bit of patience and persistence! 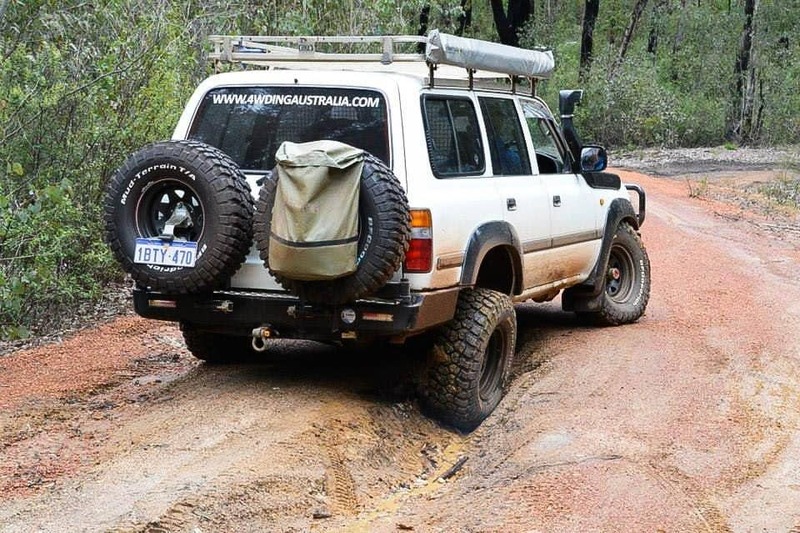 These days, there isn’t much work that can be done on a 4WD that isn’t covered in detail online with a whole heap of information, photos and guides of what to do. Simply by typing your model vehicle into google, with the job you need to do usually brings up a heap of relevant results. Before I go any further, I’m going to put a little disclaimer in. Please don’t work on your 4WD if you aren’t competent. You should know within yourself whether you have the skills required to work on your own 4WD. 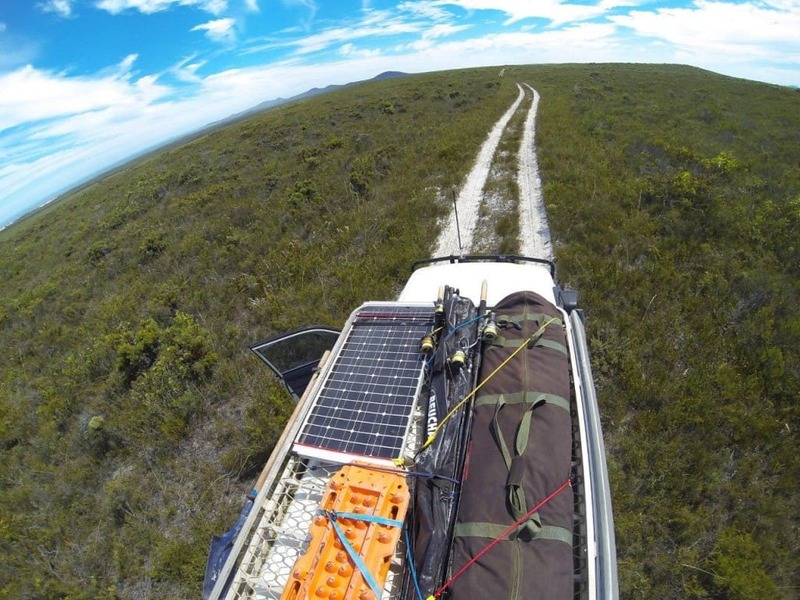 The results of a 4WD maintained by someone with little idea what they are doing can be deadly. I always recommend doing some of the work yourself (that you are competent to do! 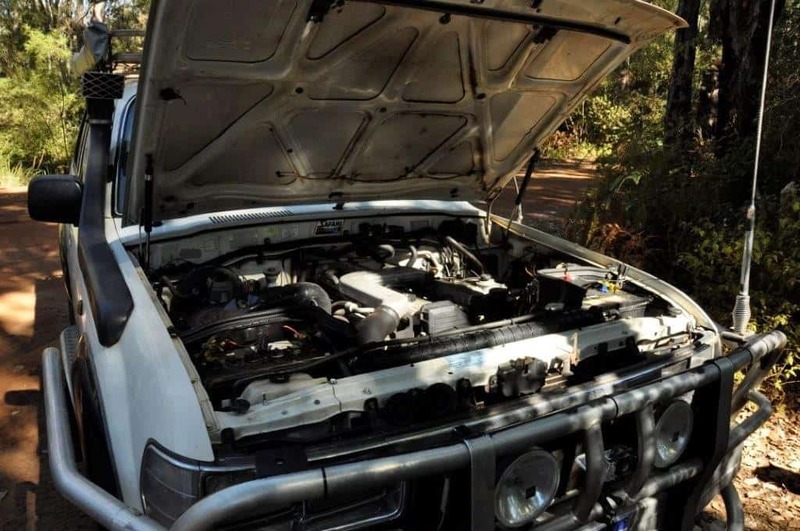 ), and using a qualified mechanic to give your 4WD regular inspections, and do the major work. A workshop manual is the place to start. You can get a Gregories, Haynes or even genuine manuals online or from your local auto shops for around $30 – $50. I always keep mine in the Land Cruiser anyway, just in case something goes wrong. The workshop manual will cover more than what you need to know to start off with, and goes through all the tools and safety requirements. It’s a good idea to use the manual with information, photos and videos you find online. Have a good look at the service requirements in your factory vehicle manual, and you can learn what needs to be done, and when. What can I be doing to learn a little about the vehicle and save some money? For the 3 vehicles I own, the minor service is done by myself, and the mechanic does the major service. Most vehicles have a service period of 10,000km, rotating from minor to major services. There are also additional jobs required for some less periodic work – water pumps, timing belts etc. Changing the engine oil and filter is really easy. If you haven’t done it before, it might take you an hour to get the hang of it. After that though, you can do it fairly easily in 20 – 30 minutes. This varies from vehicle to vehicle (always read your manual), but the general procedure is as follows. Undo the sump plug and allow the oil to drain into a waste pan. When its finished draining, unscrew the engine oil filter, and dispose of it. Get the new filter, put some clean oil around the seal and screw it back into place. Reinstall the sump plug, and fill the engine with the required amount of oil (make sure it’s the correct grade too!). Once done, run the engine for a few minutes, and then stop it and check the oil level again. Top up if required. Your done; and you’ve just saved a visit to the mechanic and a few bucks too. Remember to go over the rest of the vehicle and give it a thorough check over though! You should be keeping an eye on your coolant. If it changes colour, or is due for replacement, you can replace it very easily, and flush the system whilst you are at it. For most vehicles, the easiest way to do this is to remove the bottom radiator hose and allow the coolant to flow out into a bucket. Undo the engine block drain too, and let the coolant come out of that. From there, fill the cooling system up with water, and run the vehicles engine with the heater on full bore. After a few minutes, Drain the water out, and fill it all back up with the correct ratio of distilled water and decent coolant. Whilst you are doing the coolant, it’s a good idea to check the thermostat. These very commonly jam open, and stop your car from warming up as quickly as they should. If this happens, you will do more damage to the engine (as it wears the most while warming up). The thermostat is usually held in by two little bolts, and can be changed in a matter of minutes once the coolant is drained. For such a little part, they do a very important job, and its wise to make sure that they are functioning properly. Providing you are happy to slide around under the bottom of your 4WD for a while, this is an easy job that can save you a lot of money. Like changing the engine oil, all you need to do is drain the waste oil out of your transfer case, differentials and gearbox (or automatic transmission). Once the oil is drained, reinstall the bungs. It’s a good idea to make sure that the filling bung is loose before you drain the oil; nothing is worse than dropping your oil only to find you can’t put any new stuff in! Fill each location up with the right oil (it is not likely to be the same!) until it flows out the fill up bung (this is the full level). To do the engine oil, filter and all of the driveline oils it might take you a few hours, but it will save you plenty! Ideally, you should look at fitting Differential Breathers to your 4WD, to ensure no water can get sucked in. Water in your oil is a nasty mixture that will cost you big time if you leave it unattended. This is the easiest job of all. If your air filter is dirty, you can blow it out or knock it on a tyre to allow the dust to fall off. Some filters are washable, but not all! If the filter is still dirty when its been blown out, throw a new one in; they are cheap, and make your vehicle perform better and use less fuel. To change your air filter takes about 2 minutes! All of the above things are quite easy on most 4WD’s. A few tools (under $200 worth, and those that most people already have), some common sense and a desire to save a few dollars and you are headed in the right direction. Cars are dangerous. 4WD’s even more so. Please don’t attempt something if you don’t have the tools or the knowledge of how to do it safely. Don’t ever work underneath a vehicle supported by a jack. Axle stands are cheap insurance for when your jack fails! From there, there are literally hundreds of other jobs you can do on your vehicle. Some are based around preventive maintenance, and others are installing new modifications. Things like replacing brake pads, 12V repairs and installations, replacing suspension, swivel hub rebuilds, wheel bearing replacements, changing axle seals and the list never ends. Do what you are comfortable with, and expect things not to always go the way you want them to! I’ve regretted attempting different bits of maintenance on my Land Cruiser over the years mid way through, but knowing I have another vehicle I can drive to work, with plenty of mates who can point me in the right direction should I not know what to do next. I don’t always enjoy working on my vehicle, but it is rewarding knowing that the job has been done correctly, that you’ve saved a significant amount of money, and that you have learned something in the process. When should I leave it to the experts? If you have a warranty on your 4WD, it is likely required to be serviced at a few specified workshops, until a certain age or KM reading. If you do the servicing yourself, you may void the warranty. It’s worth looking into! If you have a job that needs doing which looks like it might be a bit of a stretch for you, give it to the experts. This is especially the case when you have a limited time frame to work on your vehicle. 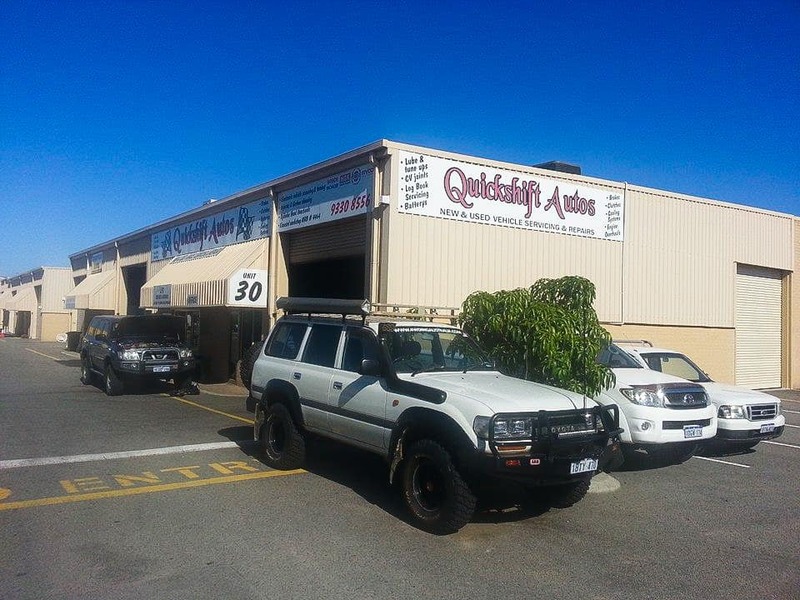 4WD’s need to maintained properly and safely; if you aren’t sure, give it to someone who is! 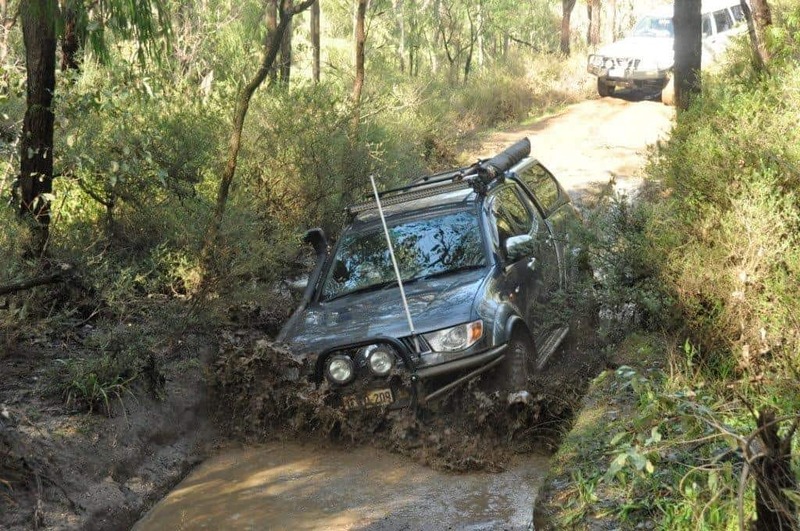 So, what else do you do on your 4WD to save money?